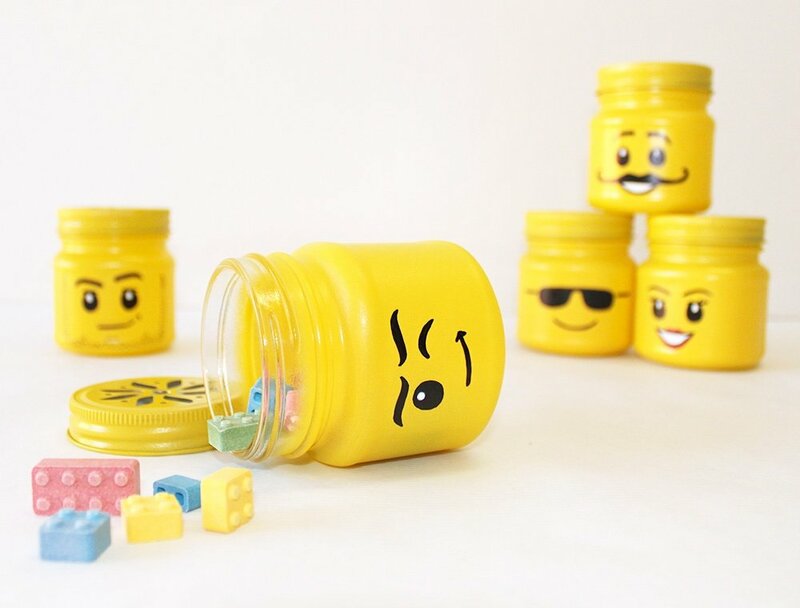 A Lego themed party is hugely popular for kids (and kids at heart) and it’s easy to see why. 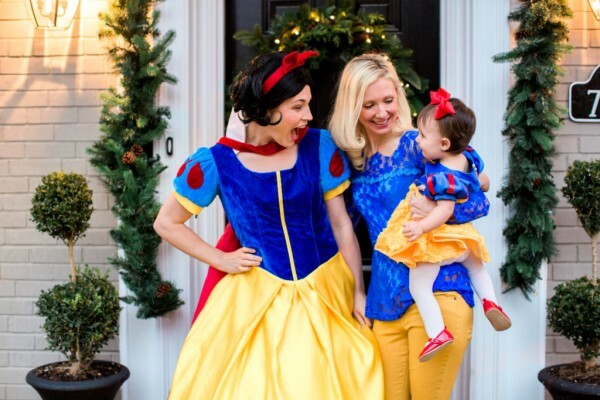 This theme is gender neutral, aesthetically pleasing, and wildly fun. 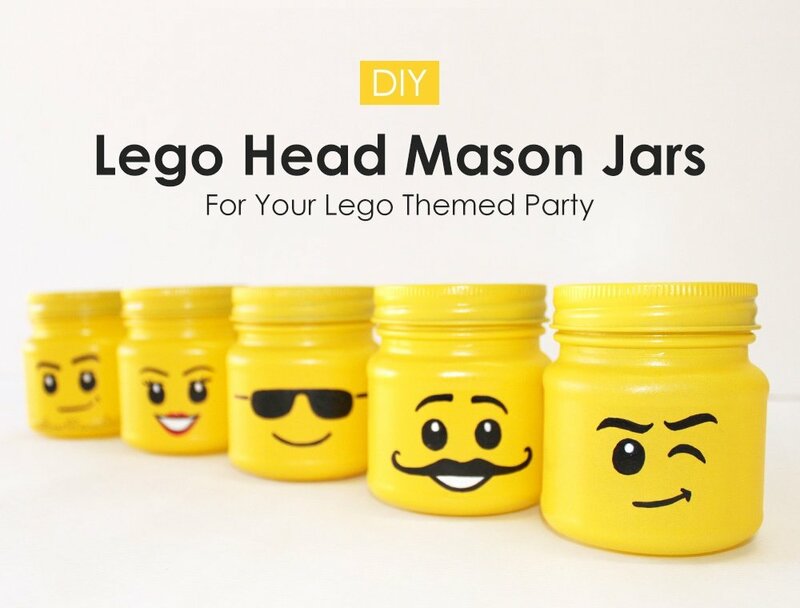 Give a Lego theme a go at an upcoming party or birthday celebration and decorate with these easy DIY Lego head mason jars! 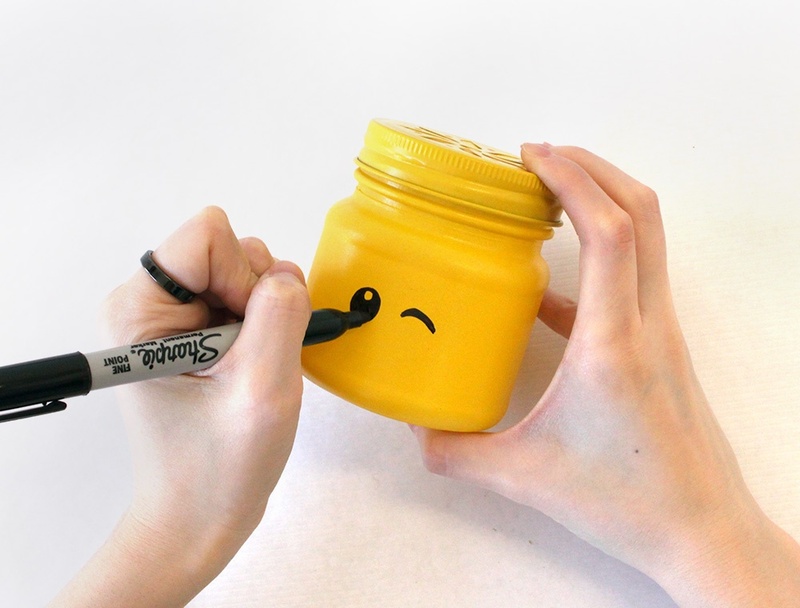 With your markers, carefully draw on the selected Lego face of choice. 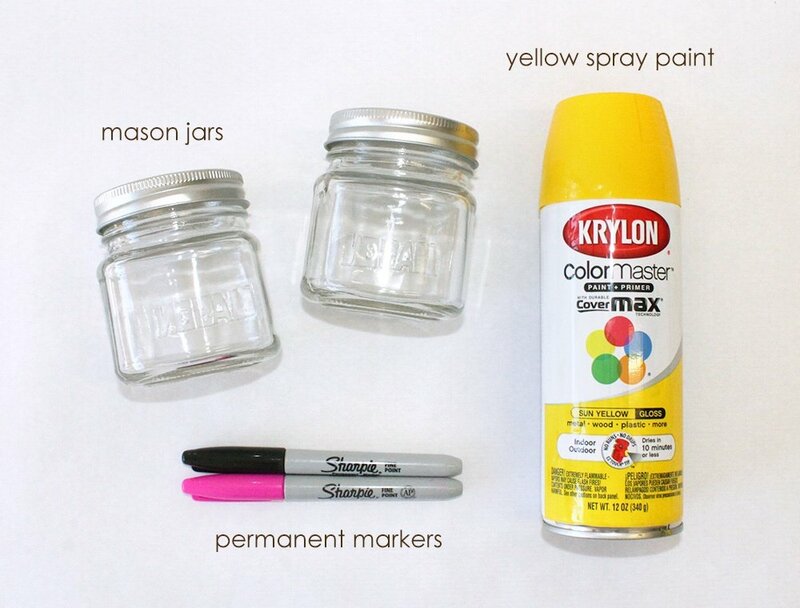 Recommended colors to use are: black, white, and red. 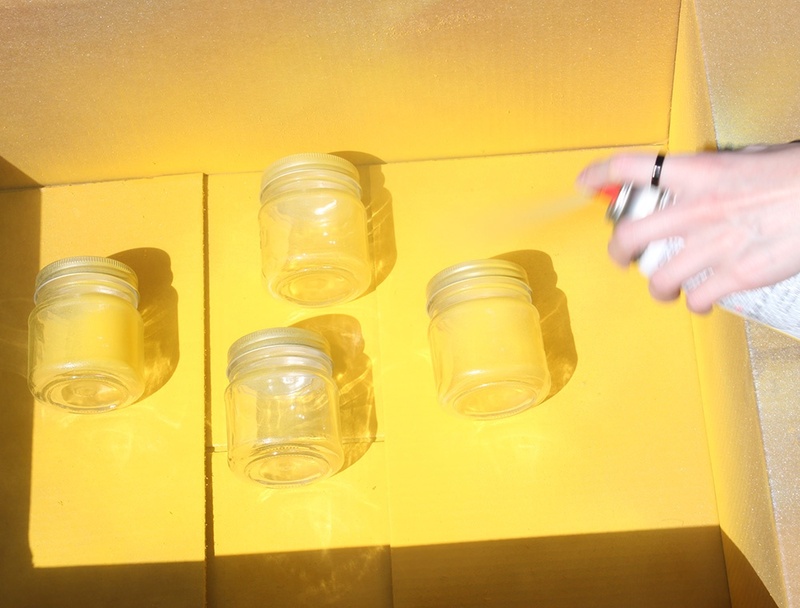 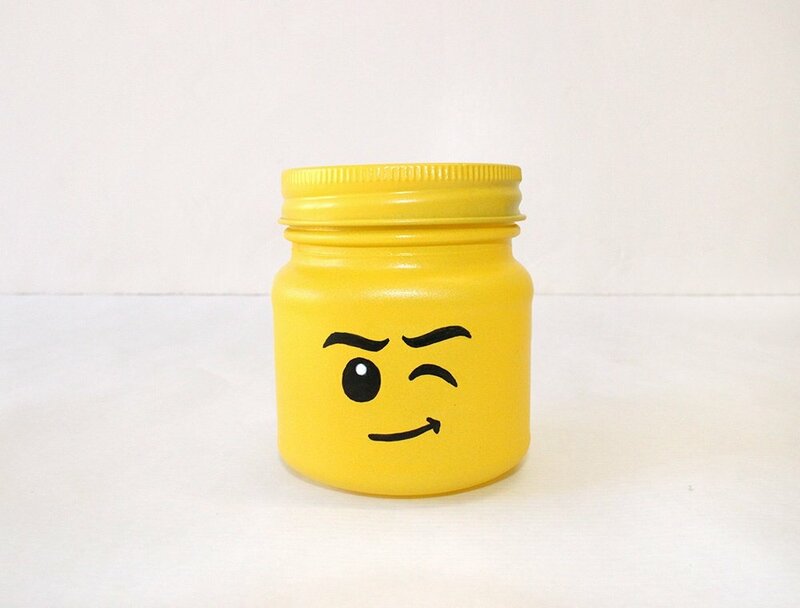 By spray painting the outside of the jar, the inside remains food safe and can be filled with M&Ms, juice, or even Lego-shaped candy blox. 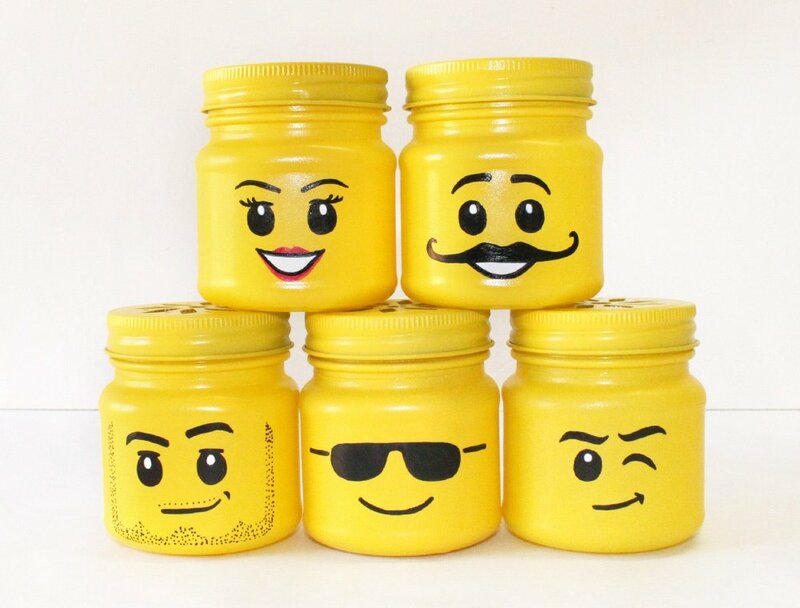 Impress guests by leaving these out as display or filling with fun goodies at your Lego theme party!